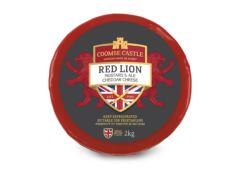 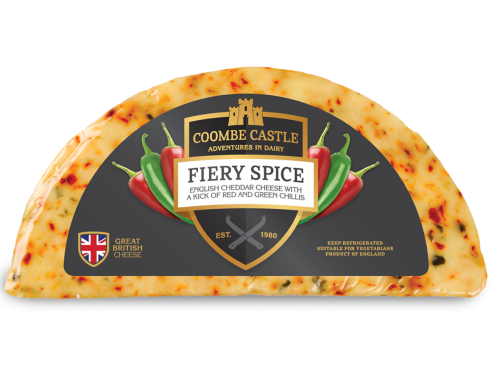 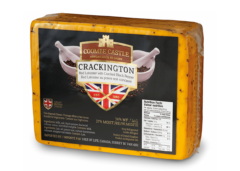 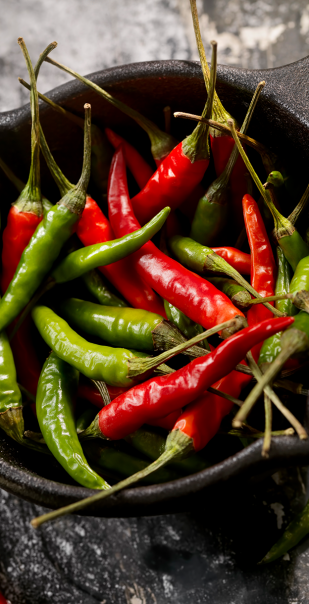 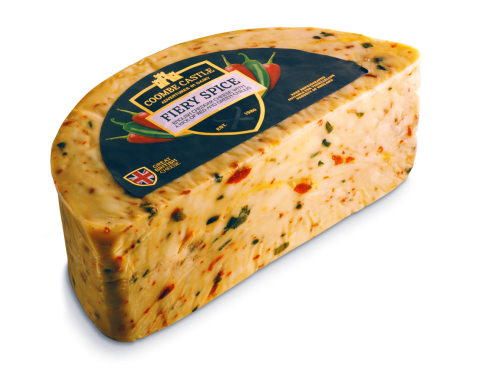 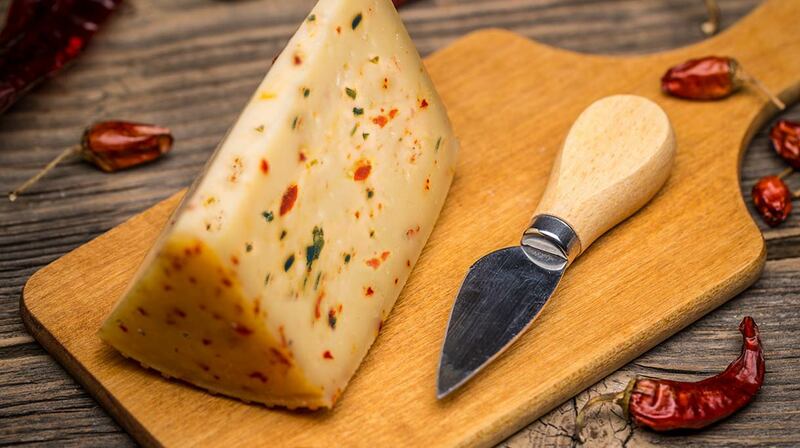 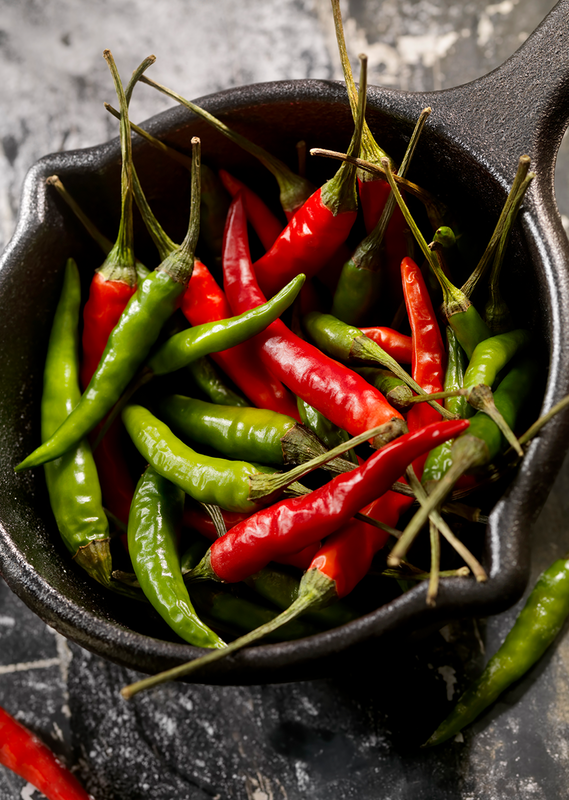 A pretty, colourful mix of fiery chilli and peppers give this cheese a very distinct flavour. This savoury blend is perfect for those who can handle the heat! 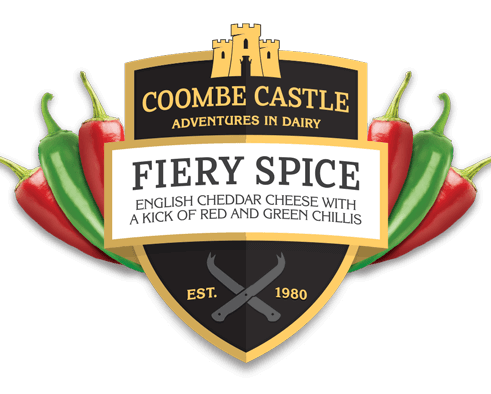 Pasteurised Cow’s Milk, Red & Green Bell Peppers, Garlic Powder, Salt, Crushed Chillies, Vegetarian Rennet, Starter Culture.